With his unique way of slipping into roles like some confident chameleon, you might as well belly up and call Joseph Gordon-Levitt a full-blown movie star. He can headline anything that an a-lister takes on. Whether he's imitating Bruce Willis (Looper), playing a likable muscle head (Don Jon), or just slinging high stakes at poker (Sin City: A Dame to Kill For), this once adorable child actor is now the real deal. Bring on Snowden even if it is in delayed release. Anyway, if you are afraid of heights, it might be difficult to watch certain portions or especially the last bit of his 2015 release, The Walk (my latest review). 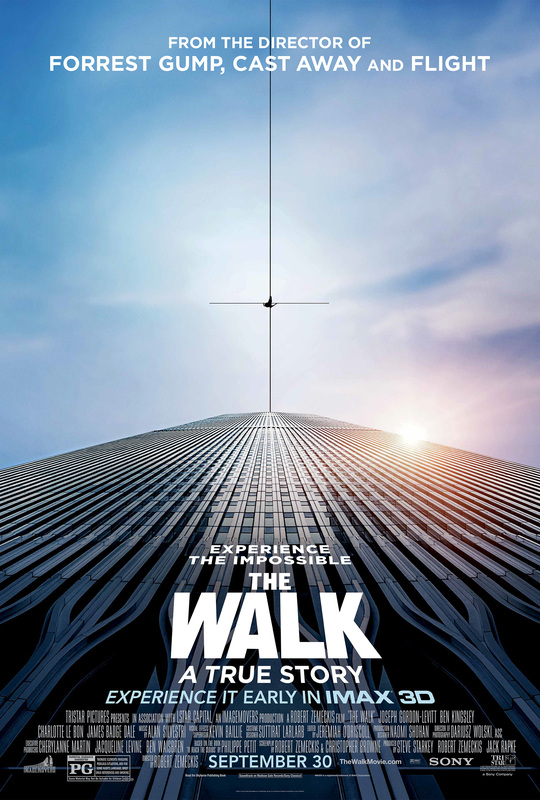 This film is based on the true story of Philippe Petit, a high-wire artist who caught the world's attention sauntering across the Twin Towers (of the World Trade Center). Directed by special effects maestro Robert Zemeckis, "Walk" has Petit (played with heavy discipline and a broad French accent by Gordon-Levitt) traveling 140 feet on a thick, heavy cable. It's a moment that you need to see to believe. Zemeckis nurturing the concept of 3D on his mind, shoots The Walk as if he's revisiting his own Forrest Gump (1994's Best Picture winner). Tom Hanks sat on a bench and narrated most of that epic in flashback. Here, Gordon-Levitt does the same thing but from high atop the Statue of Liberty. The difference between the two films is simple: "Gump" is more Homeric with storytelling that's not negligible. "Walk" isn't plotless yet not enough seems at stake. The trailer looked mighty compelling. The end result is breezy and almost comical in nature. Having its climatic gesture taking place in August of 1974 and its running time clocking in at just over two hours, The Walk chronicles Philippe's drive and passion, his relentless persona of being difficult to the people who work for him. You see he wants to be the greatest wirewalker known to man and while living in France, he injures his tooth (street performing). In the waiting room at the dentist office, he sees a picture of the World Trade Center's Twin Towers (mentioned earlier). Petit becomes obsessed. During "Walk's" next hour or so, he trains heavily with each wire becoming longer and longer in length and higher and higher off the ground. Eventually, he finds his way to New York City traveling with his cutesy girlfriend (Anne played by Charlotte Le Bon). They befriend a photographer, a life insurance salesman, a stoner, and various other accomplices. All these half-strangers help Philippe succeed in pulling off the ultimate, illegal stunt (I think you can figure out where things are headed). This gives The Walk a sort of caper feel. 2001 had Ocean's Eleven. Here we have Petit's seven. All in all, the three-dimensional space in "Walk" is sumptuous and avant garde. The look of it is salt and peppery, the sense of time and place is physically real, and the performances by all the actors are thoroughly impactful (especially Joseph Gordon-Levitt). Edited quickly yet overwhelmed by large amounts of buildup (is said French dude finally gonna be "Mr. Man On Wire" and cross over? ), this thing still keeps you interested. Even the film score is Forrest Gumpian. 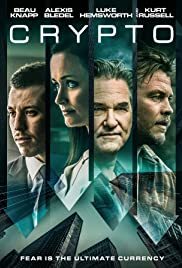 My rating: 3 stars.